Karl coaches soccer with an organization called UBUNTU Sports founded by Casey Prince. 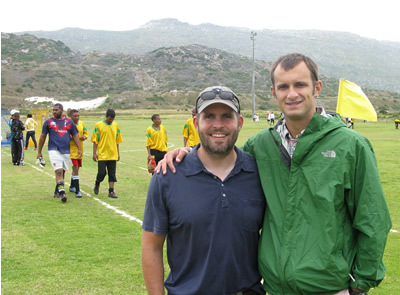 In 2012 Karl will be coaching a U15 boys team, with players from several different townships. UBUNTU Sports Outreach exists to connect boys to mentors and coaches that can connect them to their Heavenly Father. Soccer is the favorite sport in township communities and the sport holds a unique place in the nation’s consciousness. South Africa was the proud host of the 2010 World Cup. Recruiting and training coaches to mentor boys in township communities as they are coaching them in soccer. Developing a residential academy to develop spiritually, academically, and athletically the most talented players from the teams. Fostering opportunities for the boys to seek higher education in the USA or a career in professional soccer. Read more about UBUNTU Sports. 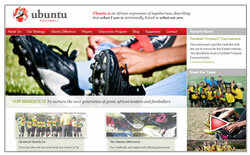 Check out the New Ubuntu Football Web Site!